Embassy of Canada in Washington, DC. Photo by Sue Frause. I just watched a Canadian politician on CBC say the word process at least a dozen times. Each and every time he pronounced it pro-cess. Not prah-cess, as most Americans pronounce it. Since I spend a fair amount of time in Canada, once in awhile I'll slip and pronounce it pro-cess. But some Canadians I know don't go that route, especially those in BC, they're more apt to say prah-cess like their neighbors south of the 49th Parallel. "Canadian English is the variety of English spoken in Canada. English is the first language, or "mother tongue", of approximately 18 million Canadians (57%), and more than 28 million (86%) are fluent in the language. 76% of Canadians outside Quebec speak English natively, but within Quebec the figure drops to just 8%. Canadian English contains elements of British English and American English in its vocabulary, as well as several distinctive "Canadianisms." In many areas, speech is influenced by French, and there are notable local variations. Canada has very little dialect diversity compared to the United States. The phonetics, phonology, morphology, syntax, and lexicon for most of Canada are similar to that of the Western and Midland regions of the United States. The Canadian Great Lakes region has similarities to that of the Upper Midwest & Great Lakes region and/or Yooper dialect (in particular Michigan which has extensive business ties with Ontario), while the phonological system of western Canadian English is virtually identical to that of the Pacific Northwest of the United States, and the phonetics are similar. As such, Canadian English and American English are sometimes classified together as North American English. 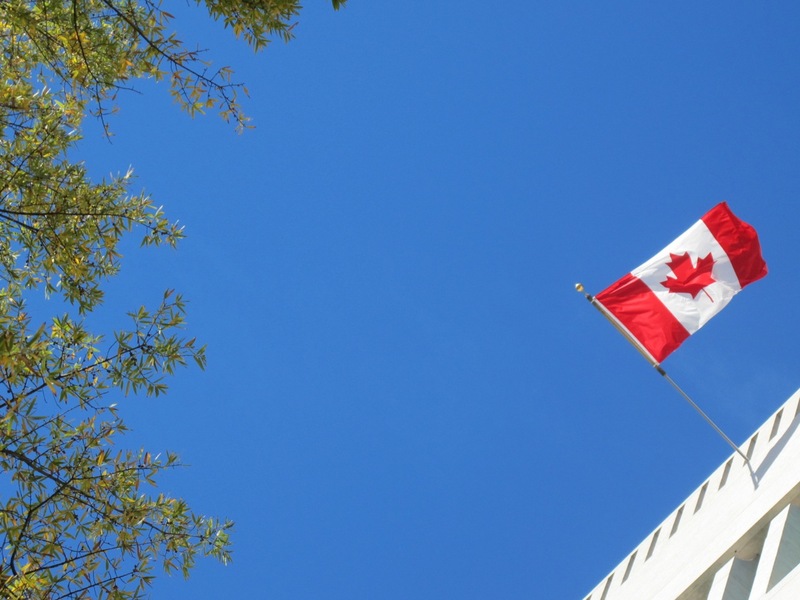 Canadian English spelling is largely a blend of British and American conventions." And there's even an online Canadian Slang Dictionary.